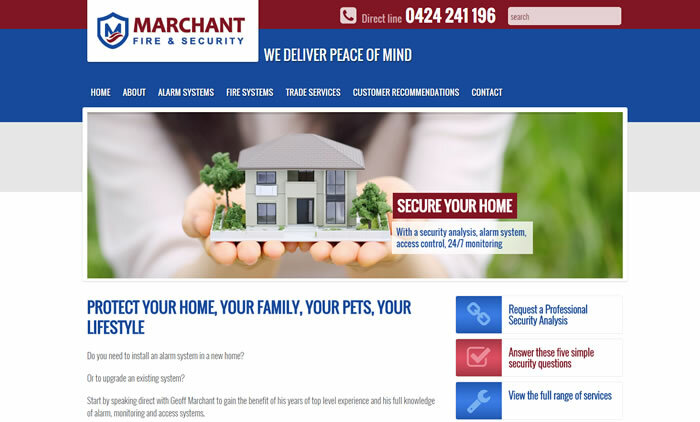 Cyanweb have completed work on a new web site for Marchant Fire & Security. The site was built on WordPress for ease of management and upgrades, with a custom design by Cyanweb and content provided by Sandra Tody of Toby Creative. Cyanweb also provide domain, dns, email and web hosting services as well as WordPress Security upgrades for the client.